What's Your Soul's Life Purpose? Your heart guides you to fulfill your SOUL'S PURPOSE, to realize and shine your light, but if you have this idea of how your purpose SHOULD look, it can totally get in the way of how it COULD look. I have a few thoughts to share with you on what purpose means for me. What does it mean for you? Are you living in alignment with your SOUL'S PURPOSE? Share your insights in the comments below. 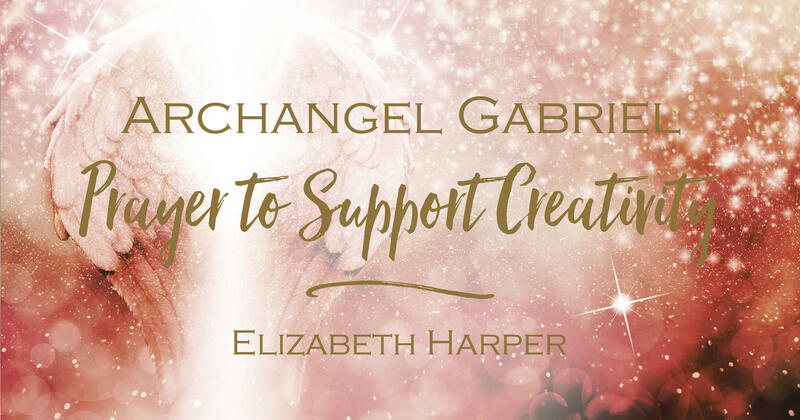 Get my ARCHANGEL GABRIEL PRAYER to guide you to be inspired by the creative energy of the Universe. Tara Elizabeth, I was checking out what you’d have to say about my Souls Purpose, you’re right. , I am using my gifts to help others already and am supported by my angels. I am in financial dire straits, I’ve been contiplating on reading Tarot’s for people as a profession. I have this hold on me that’s saying if I were to read tarot’s for money, it wouldn’t be for the right reason. My Life Path is 9, Master Number 11, I’ve got witnesses to 29 different psychic abilities, and pictures I was told by paranormal investigators I should not have been able to get on my phone camera. But these things happen daily around me . I got tired of explaining what I was seeing, smelling, hearing, feeling across my face, my hair growing out of crown chakra, headaches,, orbs, lights, feeling inside of me, what I hear in my head being related, looking at pictures & just knowing everything that I know, I never fall into REM sleep, I’ve had 5 sleep studies done, I talk, walk, text code, & light fires in my sleep, with a heart rate of 139. There’s so many factors that are at play with me I feel scattered all over but can handle the load with ease. I don’t know why things are so easy for me. I get that I’m an old soul, so when I get creative and come up with new things to try I do it on my first try every single time , and it just keeps getting faster. I’m using all my different brain waves when thinking, researching & learning things that I would say at a Quantum Psychics class for years. I only graduated high school and barely. I’m synching both sides of my brain, I’m crazily, fastly, accurately telepathic also. I’m doing things I’m not realizing at the time. I’m contacting people without effort nor prethougt. I’ve been doing all this by myself , I feel I need guidance , a teacher, a mentor, no lbs knows anyone else that has all I’ve been blessed with so they don’t know where to point me to get help. I feel lost & alone Elizabeth. Please help me, I’m a strong woman, I know I got this , I do need reassurance however, maybe confirmation from you would just put me completely at ease. I’m a Leo in Astrology, a Tiger in Chinese, The Ruler in Archetype, and on and on... you see were I’m going with this. It’s so obvious but yet I don’t see it. Please help. Nisha Thank you, you are amazing and your words have positive energy. The messages are always related to the happenings in my life. Your message hit home and made me think back at my life, become aware what I am doing now, and see the pattern. Yes, I have fulfilled my purpose in this life, and I can still help but in different way. Now I am embarking on a pilgrimage to accept that although I could not 'change the world' I have contributed and stop beating myself for not being 'good enough'. Your words have touched my heart and filed me with peace. Sarah Thank you so much for this Elizabeth! I have been following you for a few years now and I always feel comforted by your guidance. Thank you for sharing this very interesting guided message. 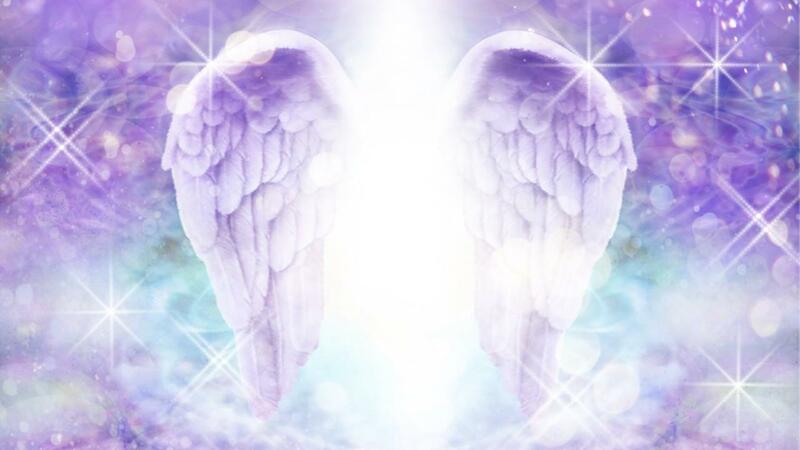 Your words always resonate with my inner self… you came to me as an angel guide… All my gratitude for the Divine Love and Light shining from you. Love and Blessings in return. As I wrote to you yesterday (I’m pretty sure), saying that at present I’m using my words as a healing energy. It does seem to work, yet I frequently feel, that Although i think very carefully about what I’m going to say before I start writing. 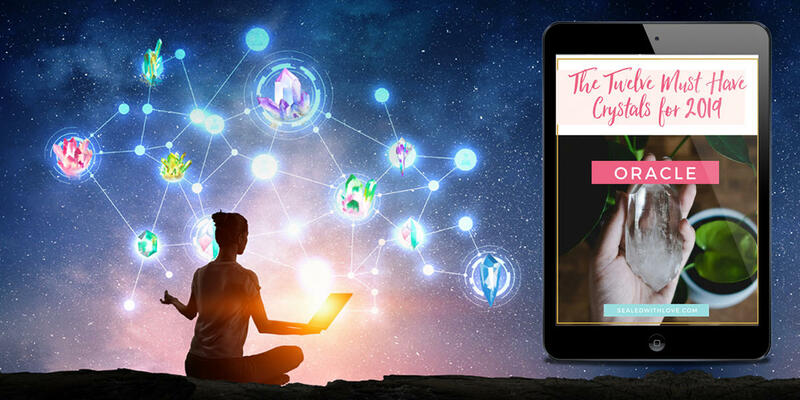 Yet, as I do start to write, the words flow from me to the iPad and yet I strongly feel, many times, that I am but the physical conduit for another healer who has joined with me in my writing at that time. When I finish, I feel that we have done the best we can and then we can only hope that this has been helpful for our recipient. Here I’m saying we, yet I have no proof, it’s just something I’m strongly feeling, so it must be a “we” and I think that is perfectly wonderful. Of course it may even be my higher self but no, I feel it is another healer. Therefore I seems yet again, I’m helping to heal people. I like that! Joyce Thank you for that lovely message of encouragement and remanding me that there is a reason for everything. Lesley Thank you Elizabeth. I have started in a new job back in a school as a teacher aide. It's a school I worked in in 2003..I knew I wasn't 'going back' but bringing my awakened girts and abilities to a new generation. I feel every connection I make with them. On the first day a wee boy stared calling me the Dragon girl after a conversation we had about dragons. I feel Im helping bring magic back into their lives. And they have given me a programme in the first week to work with boys in the sand. How perfect. I know it wouldn't have been like that 15 years ago when I was there. I love what you said about the police station. I live opposite a fire station and have always thought that too. But I also thought it was healing for myself as I have grown up with a fear of fire. I know now it's to do with past lives I have had and it's understandale that I have felt that way. It feels reassuring to know they are there.. Moving back into the school has felt like somewhere I can make a big difference and the gift of having been there before is I have so many contacts there and know so many people it's like going home. You are a true angel. Your genuine compassion always shines through when you speak and in your messages and it's always in perfect timing when I hear your messages it's like you are speaking right to me it resonates so much in my heart. Thank you! Thank you for sharing big warm hug from the Netherlands ??? Your timing, words and love profoundly touch my heart and yes, deeply, my soul! Patsy Lovely, wonderful message. Thank you, Elizabeth. Gina Goodness me Elizabeth, you are perfectly aligned to be delivering the perfect message I had been asking myself! So Thank you for your pure ness it what comes through you! Divine timing indeed ?thank you!? Eileen Thank you, Elizabeth. This has been on my mind, and I’ve been so sad. I’m trying to bring Mindfulness into my daughter’s school, and hopefully throughout the District. Our children need this so very much. It’s been very sad for me to watch what is going on in our schools, and so difficult to make school officials understand the need for this. Your message meant so much for me to continue to try and help heal our children. God bless you. Corinna Thank you, Elizabeth, for the perfect timing of this video message! It was just what I needed to hear today and the guidance came through beautifully. Very grateful! Anne Meredith You made me cry. Your advice made everything seem crystal clear about my business. I am on the right track. Patience is a virtue. I loved hearing about your book being on the shelves and bringing your beautiful energy to the other books, and where you live can make a difference to the energy around other people. I feel so blessed and excited after listening to your heartfelt advice. Thank you! Vidar Magne Henden Hello Elizabeth Harper! Thank you Always for your wonderful guidande and friendly and soft way to be. I have always enjoyed your angels guidances here. Yes, you are absolutely correct that I have worked with healing for a while. I work with distance healing and so far I had remarkable sucess with it. But I have a little problem with people because they are so sceptical about it so they don't want to have a healing even when I do it for free, maybe it would be better if I charged them allot of money? How strange can people be. So the question is what can I do to make people more optimistic about trying healing on a distance? I have always loved to help people with anything, it's normal for me a man born in Virgo to be to service to other people. But people are so sceptical about healing so what should I do to get out to more people? Maybe I should make a site and offer my service? Britt-Marie Ahlin I just love to listen to you! You give me so much inspiration and comfort with your lovely angelvoice! I will think about what you said. I wish you the very best dear Elizabeth! ❤️?? Mary Elizabeth you are truly an amazing soul, this message brought tears to my eyes. I actually got chills at the end of the video, perfect timing for this message. I’ve been going through a very hard time trying to figure out what my purpose is. Last week was incredibly difficult. This message gives me hope! Thank you for what you do! ??? Sherry DeJong Oh Elizabeth, thank you so much for sharing thoughts with us. I often wonder if I am fulfilling my soul's purpose. This help me realize to be aware of what I do give and share with the world. Esen Thank you Elizabeth, for your loving and embracing words . you have helped me see this from a totally new perspective... with love ? Jeanne-Sylvie Thanks a lot for sharing your thoughts, i feel really good after listening to you . Being reminded of the timing of the universe is important. Another important thing you said was that we can share our gifts in different ways, and it is something i discovered for myself recently , it's been kind of an epiphany . Shannon Elizabeth, I feel as if you were speaking directly to me! I am an artist, I love creating, am pretty skilled but for some reason I have been spinning my wheels with no traction. I thought I knew how I would be successful, have done all the right things and have landed in some great galleries but I have not flourished there yet. Someone told me that in past lives I was stopped from expressing artistically and I need to believe that I am doing God's work, basically. It is hard not knowing. ..but I am excited to see how this all works out. Thank you for your timely message. Ramona Oh, Elizabeth, thank you! I've been "lost" and down. I'm giving thanks to Spirit for working through you. I still don't have clarity, but my faith is renewed. Blessed be, Elizabeth, blessed be. Teresa Just wanted to say that this was spot on and exactly what I needed to hear. My guides have been trying to share this with me and through you I finally "got" it. Loved what you had to say about your book too. :) Thank you!